Three men convicted of industrial scale tachograph manipulation and money laundering offences have been sentenced to a total of nine years in prison at Preston Crown Court. The convictions were secured following a lengthy and complex investigation by the Driver and Vehicle Standards Agency (DVSA) and Lancashire Police. As many as one in six crashes resulting in death or injury on major roads are fatigue-related. Darren Millington, aged 52 of Hinstock, Shropshire; Stephen Young, 55 of Goldthorn Ave, Wolverhampton; and Benjamin Hayton, 43 of Cumberland Avenue, Leyland, Lancashire, were all convicted on 11th March 2019 following a five week trial at Preston Crown Court. Millington and Young were each convicted of one count of conspiracy to falsify drivers’ records and one count of money laundering, whilst Hayton was convicted of two counts of conspiracy to falsify drivers’ records. 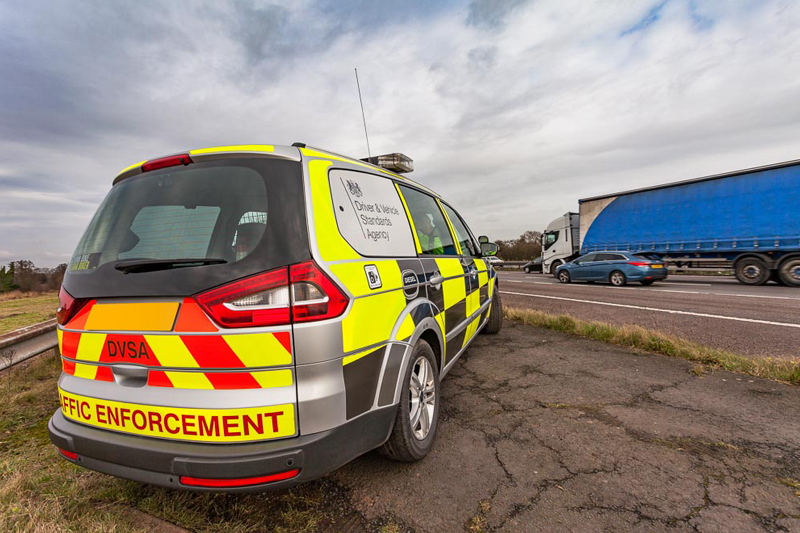 DVSA Director of Enforcement Marian Kitson said, “The DVSA’s priority is protecting everyone from unsafe drivers and vehicles. Drivers’ hours rules exist to protect everyone from tired drivers. These criminals sought to deliberately undermine those rules for their own gain. The fraud first came to light when DVSA Traffic Examiners stopped a lorry near the M6 in Lancashire and found that the tachograph safety device had been illegally modified. Following an intelligence-led investigation and execution of search warrants, evidence was found that linked Millington, Young and Hayton to the production, supply and fitting of sophisticated tachograph recording interrupter devices to heavy goods vehicles. Millington was procurer of the devices, Young designed them, and Hayton helped design them and fitted them for up to £1,500 each. Hayton fitted at least one device to a vehicle belonging to the company S Bamford International Ltd. of Preston. During the investigation the DVSA discovered that two drivers for S Bamford International had falsely recorded rest periods more than 630 times in three months. This allowed them to drive their vehicles for long periods of time without taking the required breaks or daily and weekly rest periods. The defendant Benjamin Lee Hayton failed to appear at court for the trial and subsequently an application by the prosecution for the issue of a warrant for his arrest was granted by His Honour Judge Newell. He was tried and convicted in absentia. Superintendent Julian Platt of Lancashire Police, said, “This has been a complex investigation which has taken four and a half years and my thanks goes to the DVSA and their officers for their hard work in gathering the evidence for a prosecution. “Tachograph disruptors allow HGV businesses to illegally work for longer hours – putting not only the driver, but other members of the public at increased risk of harm. These people’s actions were dangerous, irresponsible and illegal and I’m satisfied with today’s outcome. The judge commended the DVSA and police officers’ work.